How will property owners and property managers improve business operations and revenue in 2019? By keeping a close and persistent eye on the major trends affecting future business performance. Property management is a booming multidimensional business worth Billions. Improvements and threats will come from many directions. The top 15 trends to watch are dominated by the new software and tech electronics and all the amenities tenants want. It’s the demands of tenants who want technology that’s driving big changes for landlords and property managers. Keeping on top of industry trends and improving your business should be a priority in 2018/2019. Just being aware of stats, views, opinions and news in the property management and housing markets can help keep you ahead of the crowd. Please share this epic post on the trends with your real estate associates and friends. Trends aren’t gimmicks. These improvments are responding to landlord’s and tenant’s pain points. It’s not the apps, services, etc. that matter. It’s the need for them that makes property trends so interesting. Property owners and investors in general may not be housing demographic, technology nor customer service experts. Cultural trends and new software technology for instance, are invisible to them. However these will affect demand for their properties or how long they hang onto good tenants. Your choice of software and apps might have big effect on future rental property portfolio earnings, yet they won’t see these trend “trains” coming unless they’re an avid property management blog reader. Only you’ll understand the evolution. They’ll be relying on your forecasting and leadership here. Your expertise ensures their investment is protected and you know how to add value. Upstart property management companies will be looking for an advantage to beat you, and an authoritativeness about the “new property management market” might be their opportunity. Make sure they don’t get ahead of you on this. 1. Technology Trends: In 2019, the most influential trends might arrive from many different sources due mostly to technology. New cloud services, Internet connnected devices, automation software are creating business advantages. Fintech and Proptech are the buzzwords. 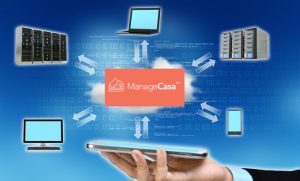 These technologies integrate well with modern property management software such as ManageCasa and they’re optimizing management in a way tenants appreciate. 2. Demographic Trends: Millennial tenants are becoming more of the tenant market and what they want often requires high tech solutions. Without that technology, they consider you backward or irrelevant, even though you’ve got everything else nailed. ble to keep up, nor satisfy landlords and owners that you’re capable of growth and efficiency. They’ll likely know from their first visit to your website or conversation on the phone that you’re old school. Is it overhyped or underhyped? Well, renters love the ease of doing things when they can via their smartphone, on the bus or subway, at work, on the road in their car or at home. 3. Rental Market Demand: Housing construction starts will grow in 2019 and for the next 5 years. Renters are weighing the buy vs rent decision, and some will make the choice to buy a home. That will in turn lower rents and raise vacancies. Your costs will go up and your revenues down. 4. Booming Economy and Trade Tariffs: President Trump’s new tariff walls will likely mean the return of jobs across the U.S. including the long lost cities of the midwest and rust belt. High employment and rising wages among Millennials who are mobile will mean no city has to be left out of the new economy. New single houses, townhouses and multifamily developments will spring up creating opportunities for property management companies. 5 . Government Restrictions: given how high housing prices are and how high rental prices have become in cities such as San Diego, New York, San Francisco and Los Angeles, the cries for rent controls will get louder in 2019. That’s a death sentence for many investors. From California to Texas, keeping an eye on state and local attitudes is smart. 6. New Construction Trends: besides big growth in new construction, and government programs (such as the new $1 billion program in Vancouver, Canada) can impact your future rents and income potential. Large multifamily buildings are the trend, due to so much pent up demand for units. Big developments near key transit locations will receive priority from government. 7. Interest Rates and Inflation: financing, wages, utilities, and operating costs will rise in 2019 thus cutting into your net income. 8. Software Technology: New software technology is offering improvements in simple accounting, time management, tenant screening, online payment, property maintenance and repair services, and property management analytics. Some offer complete solutions while others are woefully inadequate. Some might impose on your business creating addtional costs and adoption issues. Which solutions and apps should you adopt in 2019? 9. Demographic Shifts: Babyboomers are finally retiring and the Millennial generation is out of their parents homes and into renting their own apartments. Your rental products and managment style will gradually be reshaped to suit them in 2019. 10. Startup Property Management Companies: We’ve all heard about the growth in accidental landlords. Buying rental income properties is popular and many are realizing there is big money in property management. They will want to get serious about growing their portfolio and formally launching a property management company.These newcomers to property management won’t want anything to do with old PM practices involving spreadsheets, receipts, and check payments at month’s end. No, they’re not trained pros and they’ll want to simplify right away using property management software. 11. Industry Consolidation: Big property management conglomerates are entering the independent property rental market. What are they looking for in properties or in property management companies they’d like to acquire? What services will they offer, e.g., maintenance). 12. Specialization: Given growing complexity in PM licensing requirements, government legislation, lender regulations, insurance requirements, environmental constaints, and accounting and taxation property management professionals have begun to specialize. Will expertise in any area give you a business advantage? What training and licensing must you obtain? 13. Insurance: Changes in legal liability mean more renters should have their own renters insurance, and they will. Similarly, landlords will also need to be sure of their own landlord insurance. Is insurance coverage for them a value add for your company? 14. Digital Amenities including Free Wifi: Here’s benefits tenants love. It’s for large multifamily buildings or large portfolio managers to either provide free wifi or create it as an affordable option for tenants. Wifi may be the coin operated washing machine of 2019. 15. Smartlocker Storage: We’re in the era of Amazon. Amazon’s growing share of retail shopping is shocking. Tenants will need some way of accepting packages at their apartments, many of which don’t have suitable storage. Smartlockers allow them to pick up parcels when they can. The tenant receives a digital message and unlock code on their smartphone. Yes, another app. Technology is just trying to keep up with modern renters lifestyles. So you’ll need to keep up with property management technology. 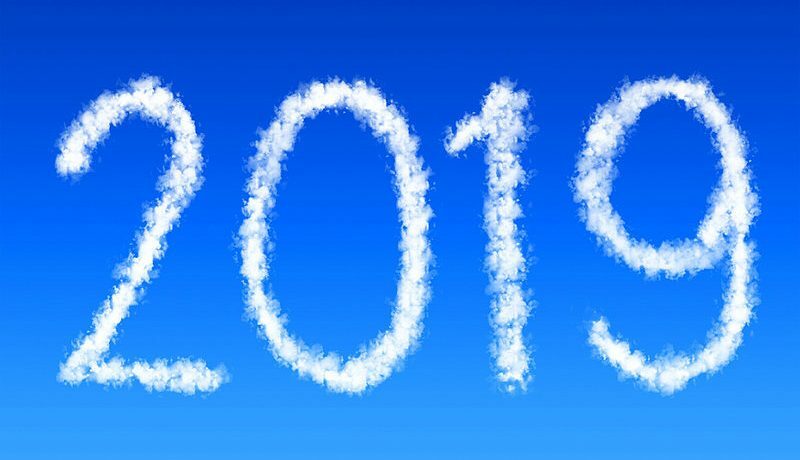 These are just a few trends in property management to be aware of in 2019/2020. More are coming and we’ll let you know right here. Subscribe to our blog or bookmark this page as we’ll update it with new property management trends you need to know about.